Does your practice offer chemical peels? The average cost per treatment for AHA peels is $125. This data point is taken directly from RealSelf.com, (note: it has a 100% “worth it rating” too, that's unheard of). You should be able to get about 35 treatments out of a 4oz bottle. If my math is right (and it never is, so you should check my work), that's $4,375 in revenue per bottle! Spend $129 to earn $4,375… no brainer! Just kidding, this product is for professional use only. My eyebrows and around my nose were dry and flaky, a few days after my peel the I noticed my dryness was gone! I'm two weeks into the treatment and my face is still radiant! 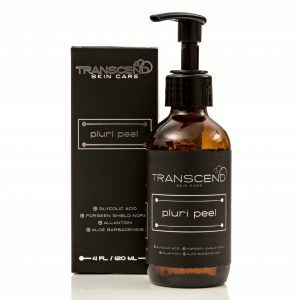 I felt a difference in the peel when […] applied PLURI PEEL on my face and neck. It felt stronger than the other Peels I've gotten. My skin was more even and brighter! I felt the PLURI PEEL immediately when applied to my face. It seemed to be stronger than the other Peels I've gotten from Charlotte. I'm really happy with the results! My age spots are lighter since the peel! Read the “reviews” tab below for more feedback. What are you waiting for?! Hit that “add to cart” button below and start increasing your revenue per customer! Read the description below for more details on the peel. By purchasing this product, you are acknowledging that you have read, agree to, and are bound by the Glycolic Acid Warning and Disclaimer. 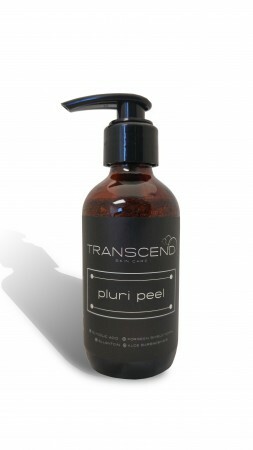 The Pluri Peel is a revolutionary Alpha Hydroxy Acid chemical peel. By using a combination of AHA's, Forseen Shield Nopal stem cells, and other natural ingredients, we are able to address multiple concerns at once. The Pluri Peel goes above and beyond exfoliation by reducing harmful free radicals, protecting DNA from UV rays, and restoring the skin to a more youthful appearance. Forseen Shield Nopal limits the numerous bad mechanisms induced by UV rays which damage and age skin more quickly. 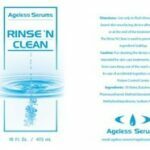 First, it protects skin cells in their environment by limiting the production of free radicals which disorganize their functions. 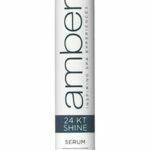 At the same time, it decreases the anarchical production of melanin caused by UV and increases the tolerance of skin by limiting the production of cytokines produced by aggressed epidermis cells. Do keep in mind, the Pluri Peel is an unbuffered, 30% glycolic acid peel. It has a target pH of 2.2. The peels you’re used to working with may very well be buffered. 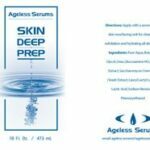 This is a powerful glycolic peel and a patch test should be performed prior to use. This is a quailty acid peel. Just keep in mind where your client is at in their facial history. It is unbuffered and may not be the best choice for virgin skin.